4 bedrooms, 4 bathrooms, quiet and peaceful location, easy walk to the city. The Apartments is made up of two co-joined 2 bedroom 2 bathroom apartments that can be connected by an internal door making them into one large space with 4 bedrooms and 4 individual bathrooms! Perfect for a group of friends travelling together, an extended family or business colleagues who may want a bit more space. The apartments are in a small block of 4 (all short stay accommodation) in a character 1950s building. Though the building may be old the apartments have been fully renovated and are brand new inside. Whilst keeping the original character you will find many modern luxuries like heated bathroom floors, walk-in showers and double glazed windows. The other apartments in the block can also be booked, to provide accommodation for up to 15 people. The property is large and sunny with a lovely retro vibe, including the original 1950s fireplace (sadly only decorative now) and huge corner windows. The apartment has been furnished and decorated to a high standard to ensure your stay is relaxing and comfortable. The kitchens are fully equipped with everything you need for cooking up a storm, with full size oven and cooktop, large fridge/freezer, microwave and dishwasher. We even have a pod coffee machine for the caffeine addict! Not the cooking type, then take advantage of the central location and eat out in one of the many fantastic eateries that Hobart has to offer (we have a few suggestions in the apartment, to get you started!). With 4 full bathrooms there will be no queues in the morning! There are even 2 freestanding baths! All bathrooms have large walk-in showers and the luxury of heated floors. Each apartment has a full laundry with a washer/dryer, iron and ironing board. We take our heating seriously at the apartments with reverse cycle air-conditioners in the living rooms and panel heaters in the bedrooms. The apartment are also fully insulated and has double glazing to help keep you warm on the chilliest of Tasmanian winter nights! The apartments are situated about 1.5km from the city center (about 20 minutes walk) and less than a kilometer from Sandy Bay Village and Battery Point. There are a number of good cafes and restaurants nearby as well as a great local supermarket/providores. The University of Tasmania is only a short walk away. We are local Tasmanians who love to share our beautiful state with our visitors. The things we love most about Tasmania are the beautiful scenery, the fabulous food, the great arts scene and the world class markets and festivals. We like the easy pace of life here and enjoy camping, kayaking, fishing, bush walking and eating out at the many great restaurants and markets that Hobart has to offer. We really enjoy cooking at home too and feel lucky to have such great local produce. We also like to travel, both abroad and within Australia. We run a little holiday let business and our aim is to provide stylish and well equipped holiday accommodation for our guests. 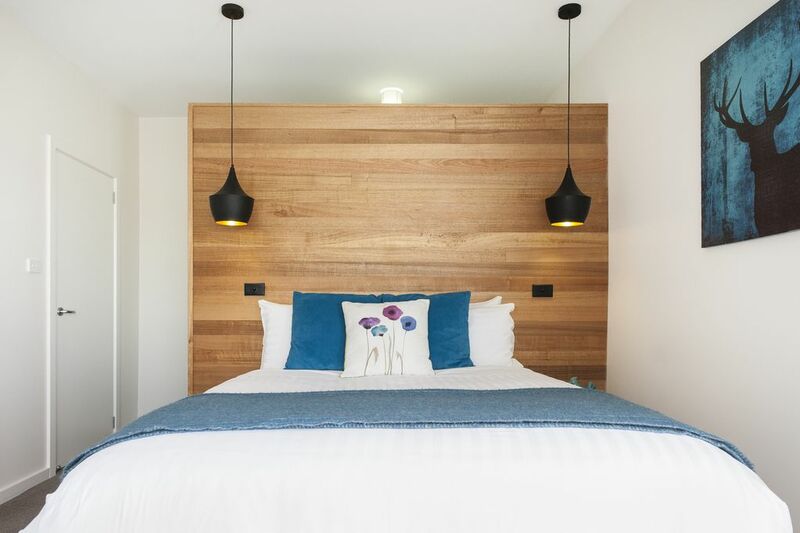 We hope that our accommodation will enhance guests holiday experience in our beautiful state by providing a welcoming and comfortable space to come home to and relax at the end of the day. The things we value most in life are our family and friends and we love that our holiday homes help to bring your family and friends together. The apartments were clean, spacious and suited our needs as an extended family perfectly.